I am a voracious reader. I choose the WSJ after subscribing to the NYT for many many years. I stopped reading conventional news paper perhaps 10-12 years ago. For many of those years prior to the last election cycle, I read the news but had resigned that this great country had become "pinkified". I was interested in national politics but of course President Barack Obama held office and for those eight years, the NYT was and I am sure remains, the voice and conscience of many....just not me! I grew wary of what I came to believe was the lack of representation. Let's face it, the editorial bylines of the NYT and my convictions were no longer aligned. It became painfully obvious that I needed to find a newspaper that did not and does not relentlessly foment such bile for the Candidate and ultimately the President, Donald J Trump. I travel extensively am well versed, an engaging person, an educated intellectual. I am not a liberal and throughout my conversations with ordinary people, citizens of the US and abroad, I simply could not find this vast subscriber base that agrees in totality with the NYT...least I didn't meet them! It seemed to me that the NYT, through its editorials and the way the NYT presents the news that they were trying to incite or enflame its readers. I'm not on of them any longer and I don't watch CNN. I enjoy the WSJ because of its objectivity and their apparent lack of an unhealthy obsession with Donald J Trump. The WSJ is Perfect for Me. The following is my critique of the Journal in general, including the app, but in so far as the app is concerned, I can only say that, although I rely on it every day, it will never replace the print version for me. 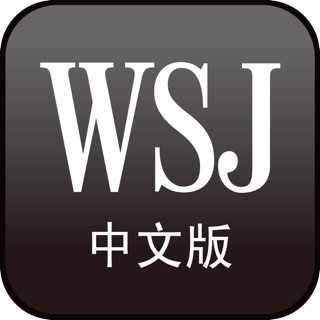 However, WSJ is, and for many years has been, my first choice for objective reporting of events in the USA and around the world. I especially like the independence of the news desk and the editorial department. This separation is obvious and lends extra credibility to the Journal’s reporting of news. I read several newspapers, including the Washington Post and the New York Times, and WSJ’s News Department is at least on par with all other sources that I follow for journalistic integrity, objectivity, and thoroughness. I also regularly read the Editorial Section even though I often disagree with the views expressed. In fact, the Journal’s Editorial pages help me feel I am avoiding the “echo chamber” trap. It is a duty of citizenship, and a crucial exercise for the success of a democracy, to thoughtfully entertain views one may not instinctively agree with. Of course, no other national daily covers business and economic news with the scope and quality of the WSJ. Finally, it’s not uncommon for the Journal to score a “scoop” or an “exclusive” in reporting the news of the day further underlining its competitive bona fides among all news sources. Thank you. The reading format and layout is still better than most of the other digital subscriptions I read, but the latest updates move it backwards in some ways. Pictures blink or reload several times when moving through the issue and it loses my place in the issue when returning to read more. The annoying ads issue seems much better, so thanks for that improvement. Update April 2018 - still the best news available, but it’s losing ground. Pricing has gotten very expensive, and the daily iPad editions load very slowly after the latest Apple software update. I have to open the app twice to see content. The first time just spins with no content for far too long; closing and reopening displays content on the second app open. I’ve deleted and downloaded the app several times to see if that helped, but it didn’t. Update April 2019 - I’m experiencing app crashes several times a week; the app just unexpectedly closes while reading an article on my iPad. Transitions from pages and sections are slow and jerky at times even with 100G WiFi download speed; it is smooth when I turn off WiFi and view the issue without all the background activity that must be going on when connected. Also, I learned that saved articles on show on the device on which saved - I can’t see saved articles on my iPhone that I saved on my iPad and vice-versa.